MARK Lloyd lost by the odd frame in seven in the final of the first leg of The Regency Pro Tips Premier Junior Tour. 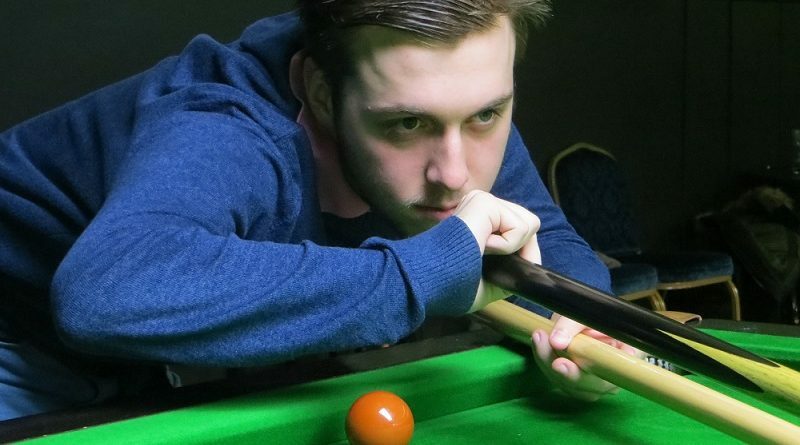 The 18-year-old from Gosport was “unfortunate” to go down 4-3 to Riley Parsons (Cannock) in the event at the North East Derbyshire Snooker Centre, Clay Cross, near Chesterfield. Mickey Joyce (Basingstoke) went out by the same score to Harry Farrell (Tamworth) in the last-32. Two other Cuestars Gold Tour players made first-round exits to Yorkshire lads on their debuts on the national circuit for the country’s top-32 players aged under-21. Oliver Sykes was defeated 4-0 by Callum Beresford and Bradley Cowdroy lost 4-3 to Joe Fenton. Meanwhile, Lloyd clinched a summer scratch singles competition run by the Gosport & Fareham Snooker League without dropping a frame. Lloyd won both group games 7-0, knocked in a 100 break in a 5-0 victory over James Budd and overcame Dean Rutter 6-0 in the final.